Graph is a well known data structure to represent the associated relationships in a variety of applications, e.g., data science and machine learning. Despite a wealth of existing efforts on developing graph processing systems for improving the performance and/or energy efficiency on traditional architectures, dedicated hardware solutions, also referred to as graph processing accelerators, are essential and emerging to provide the benefits significantly beyond what those pure software solutions can offer. In this paper, we conduct a systematical survey regarding the design and implementation of graph processing accelerators. Specifically, we review the relevant techniques in three core components toward a graph processing accelerator: preprocessing, parallel graph computation, and runtime scheduling. We also examine the benchmarks and results in existing studies for evaluating a graph processing accelerator. Interestingly, we find that there is not an absolute winner for all three aspects in graph acceleration due to the diverse characteristics of graph processing and the complexity of hardware configurations. We finally present and discuss several challenges in details, and further explore the opportunities for the future research. The online version of this article ( https://doi.org/10.1007/s11390-019-1914-z) contains supplementary material, which is available to authorized users. Ceze L, Hill M D, Sankaralingam K, Wenisch T F. Democratizing design for future computing platforms. arXiv:1706.08597, 2017. http://arxiv.org/abs/1706.08597, Jun. 2017. Page L, Brin S, Motwani R, Winograd T. The PageRank citation ranking: Bringing order to the web. Technical Report, Stanford InfoLab, 1999. http://ilpubs.stanford.edu:8090/422/1/1999-66.pdf, Jan. 2019. 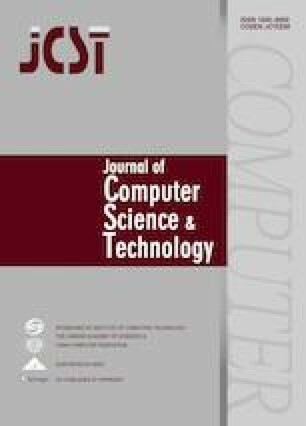 Gharaibeh A, Reza T, Santos-Neto E, Costa L B, Sallinen S, Ripeanu M. Efficient large-scale graph processing on hybrid CPU and GPU systems. arXiv:1312.3018, 2013. http://arxiv.org/abs/1312.3018, Dec. 2018. Dai G, Huang T, Chi Y, Zhao J, Sun G, Liu Y, Wang Y, Xie Y, Yang H. GraphH: A processing-in-memory architecture for large-scale graph processing. IEEE Trans. Computer-Aided Design of Integrated Circuits and Systems. doi: https://doi.org/10.1109/TCAD.2018.2821565. Beamer S, Asanović K, Patterson D. The GAP benchmark suite. arXiv:1508.03619, 2015. http://arxiv.org/abs/1508.03619, May 2017. Battaglia P W, Hamrick J B, Bapst V et al. Relational inductive biases, deep learning, and graph networks. arXiv:1806.01261, 2018. http://arxiv.org/abs/1806.01261, Jun. 2018. Narayanan A, Chandramohan M, Venkatesan R, Chen L, Liu Y, Jaiswal S. graph2vec: Learning distributed representations of graphs. arXiv:1707.05005, 2017. https://arxiv.org/abs/1707.05005, Jun. 2018.